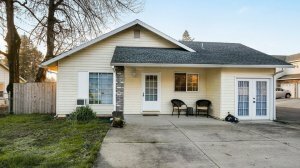 We Buy Houses in Portland Oregon! 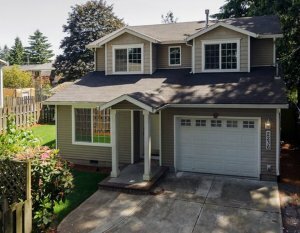 People in Portland, OR are looking to sell their homes. It can be difficult to deal with regular realtors because you have a lot of things to consider before you even get a sale for your home. In many cases, you may not even sell your home due to a wide variety of circumstances. While working with realtors can work for some individuals, this is not practical. If you are looking to sell your home quickly, Dependable Homebuyers may be a better option for you instead of working with your local realtor. 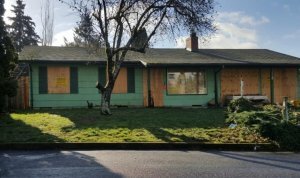 Here are a few reasons why a company such as Dependable Homebuyers might be the better solution for you in Portland, OR. Our company is not a realtor. All we do is buy homes- no matter what condition they are in or where they are located! We don’t care what the home looks like, how long you’ve been living in it, or what the various amenities and features of the home are. We simply look at the home and determine the value of it based on the market today and then make you a CASH offer on your home. You can get a quick sale and have money put into your pocket without having to worry about any other issues. Whenever you work with a realtor it can be a lot of hassles. First of all, you need to find the right realtor to meet your needs. You have to search for realtors in your local area and find ones that meet your specific preferences. You may find it quite difficult to find a realtor to suit your needs. The next thing that has to happen is that your house has to be looked at, pictures have to be taken, and your house will have to be listed on the realtor’s website. All of this takes time and if you’re in a rush to sell your home this might not be the best option. By working with a company such as Dependable Homebuyers, you can bypass all of the hassles with working with a realtor and simply sell your house right away. We will give you CASH for your property and you can use that money to do whatever you want without having to wait to work with a realtor. For those that don’t want the hassles that realtors can bring you, consider speaking with a representative of Dependable Homebuyers. Before most people sell their home they will usually do some sort of renovation. This might involve simple painting, changing carpets, fixing up the yard, putting in a new bathroom, changing kitchen cupboards, and so on. The reason that a seller does this is that it increases the chance that they will sell their home. The downside to this is that you could put a whole lot of money into renovations and never sell your home at all. You would then be out that money and would have to keep trying to sell your home even if no one has an interest in buying it. When you work with a company like Dependable Homebuyers, we will purchase the home no matter what condition it is in. You don’t have to worry about things such as renovations. 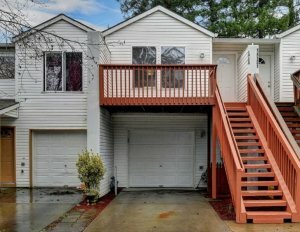 We purchased a home if it is run down or it is brand new. It doesn’t matter what the condition of the home is in or if you have done any recent renovations. We will simply look at the home determine the right value and give you a CASH offer. We could give you this offer in as little as 24 hours. In as little as one week to wholesale could be finalized and you would have the CASH that you need to do whatever you want. 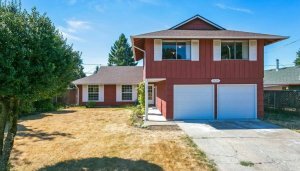 If you want to sell your home quickly in Portland Oregon, Dependable Homebuyers is the company that you should consider. One of the most frustrating things about being a home seller is that you often don’t have a fast sale. You simply have to wait for buyers to come and look at your home. If you don’t have enough buyers it’s unlikely that you’re going to get a fast sale. You may wait for weeks or even months to sell your home. When you need money quickly and have to sell your home fast, working with a realtor really isn’t the best option because you’re not guaranteed that you’re going to get a fast sale. In some cases, your home may sell right away and that is fine but for most people, this simply doesn’t happen. The problem could be compounded if you’re in an area that is depressed or there isn’t a lot of interest in the homes that are there already. In this case, it makes much more sense to talk to Dependable Homebuyers as we can offer you a very fast sale for your home. We can give you an offer quickly in as little as 24 hours and then finalize the sale within 7 days. You will have money in your pocket and you won’t have to wait for any realtors, buyers, or have any hassles whatsoever. Perhaps you need to move away quickly. You may have a new job in a different city and have to sell your home in order to move. You may have personal problems such as finances, health issues, or other issues that you have to address and you need income in order to do this. If you’re in quick need of CASH selling your home is often a good option because it puts a lot of CASH into your pocket quickly. If you can’t sell your home quickly, you’re not going to have the CASH that you need and this could present a very difficult problem for you. This is why calling a company like Dependable Homebuyers make sense because you will have that income that you need whenever you need it. 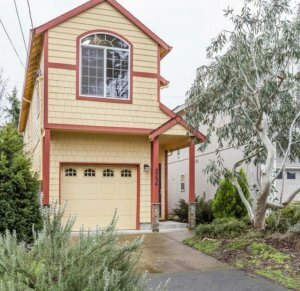 We Buy Townhouses in Portland! Let’s say you have a very attractive looking home. You looked after the home to a great deal and you think it would make an excellent home for anyone. The main problem is the home is not in the ideal location for the potential buyer. You may have a perfect yard, nice grass, trees, and everything looks aesthetically pleasing but the buyer is more interested in the location of the home. Perhaps your home isn’t close to hospitals, schools, markets, or close to where the buyer works. In this case, they’re probably going to look for some other home that meets their individual preferences and needs. You will still be out money because you can’t sell your home. This isn’t because you have an unattractive home but it is simply in the wrong location for the buyer that is looking for a home in an area that meets their needs. Working with a company such as Dependable Homebuyers makes more sense because you can sell your home right away no matter where it is located and have CASH in your pocket to do what you want with it. Whenever you sell your home it can be quite exciting to get an actual offer on your home. This can often turn into a large waiting period as you have to wait for the buyer. The buyer has to ensure that they have the proper finances and can get an actual mortgage to purchase the property. In many cases, the sale may fall through simply for the fact that the buyer is having issues with their finances and can’t secure the proper funding to get their mortgage. This leaves you without a sale and it can be extremely frustrating when you thought the home might actually sell but it doesn’t end up selling because there’s been a problem for the buyer. Sometimes, you simply have to wait for the buyer because they don’t have the money right away and might not be looking to purchase a home for several months. If you don’t want hassle of waiting for buyers and you’re praying that they’re going to get the proper financing to get their mortgage, then you should give Dependable Homebuyers a call because we are not buyers. We will simply give you a CASH offer for your home no matter where it is located or what the condition of the home is in. You won’t have to wait for any mortgages, financial approvals, or anything of that nature. We will simply buy the home off of you and you will have the CASH that you need. Call (855) 741-4848 to Get Your CASH Offer! In addition to things such as mortgages and finances you also have to put up with the picky buyer. This is someone that is excited to buy a home but isn’t quite sure if they want to buy your home because it doesn’t meet some of their preferences. For example, you may have a home that has a different color than what they want. Your kitchen may not look exactly the way that they envision it to look. You may have a bathroom that doesn’t have a tub or perhaps you don’t have that two car garage that they are looking for. You may have an exceptionally nice-looking home but it simply doesn’t have the things that the buyer is looking for. Many buyers are simply not interested in renovating a home they want to move in and be done with it. If the buyer finds a home that is similar to yours, at the same price range and has everything they want that your home doesn’t, they’re going to buy that other home and you will be out the sale. This is another reason why working with realtors can be difficult if you want a fast sale. You have to deal with those picky buyers that want to make a home purchase but are unsure of your home simply because it’s missing some of the features that they want. 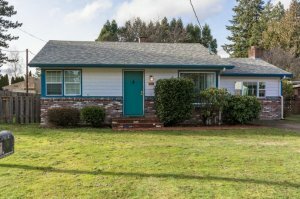 In this case, calling Dependable Homebuyers in Portland, OR makes more sense because we will buy your home right away. Another problem when you work with a realtor is there is often a lot of other fees that have to be paid. You’re not just selling the home, you have to pay the realtor and this eats into your potential profits. There may be a whole lot of other fees that you have to pay as well. The realtor is looking at to make money and they’re going to charge you as much as they feel is necessary to actually sell your home. You can end up paying a lot more than what you want for your realtor and this puts less money in your pocket when you sell the home. When you work with our company there are no fees that you pay whatsoever. There will be no conditions, service charges, transaction fees, or other fees that you have to pay. We simply give you CASH for your home based upon its value now. Getting your home sold is a very extensive process. You have to do a lot of legal formalities and go through a lot of paperwork. This can be extremely frustrating and it takes up a lot of your time. Our company will go through all of the legal formalities for you and do all of the paperwork that is going to be required. You will have to do far less work if you sell your home to us as Dependable Homebuyers will do most of the paperwork that is required for the sale to go through. You can then relax and take the money and do whatever you want with it. We can give you an offer within 24 hours and then make a quick sale usually within a week as this is the amount of time it takes to do all the paperwork and to process all of the transactions. Dependable Homebuyers makes it easy for you to sell your home. You won’t have to work with any realtors and you don’t have to go to the hassle of dealing with buyers. We simply make a CASH offer for your home. We will put money in your pocket quickly and you will finally sell your home and have peace of mind. Don’t Delay! 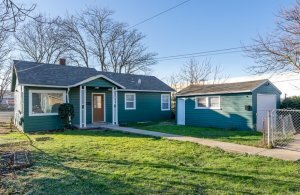 We’re ready to give you a fair, cash offer for your Portland, Oregon property immediately. No matter the condition, no matter the situation – you can sell your house fast without listing with a real estate agent. Fill out the form below for your no obligation cash offer!